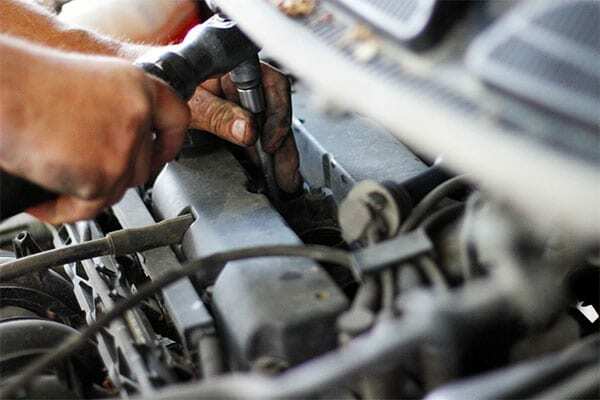 At IMM Auto Service in Tempe, we offer a full range of auto repair and maintenance services for Valley drivers. Our customers trust us to work on all types of vehicles, and we’re one of the top shops in the area for SAAB, Volvo, and Lexus. Here’s more about some of our services, but if you don’t see what you need, please give us a call because we can handle almost anything! 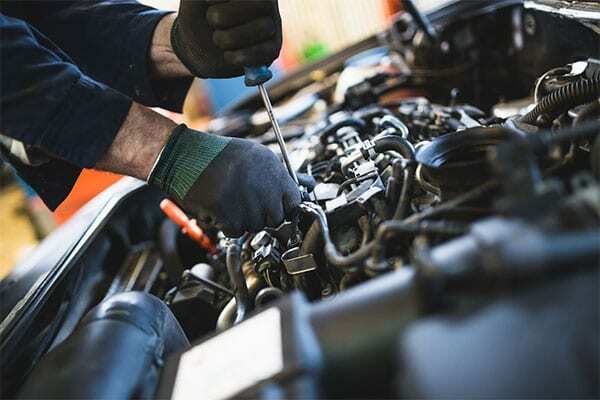 Rest assured that should you have an unusual noise, or find that your car is not running correctly, we have the expertise to properly diagnose and fix your car, even if we need to remove the engine and rebuild it. The cylinder head portion of an engine is the upper section of the engine assembly. On a modern engine, the cylinder head contains the valves, cams, spark plugs, intake and exhaust ports, ignition coils, injectors, and a whole host of other parts that are attached to it. This cylinder head is sealed to the engine block with a gasket, known as the head gasket. Are your car’s windows not operating as they should? Sometimes switches go bad and won’t operate the motor. Sometimes rollers in the window regulator break and need replaced, and sometimes the window regulator needs replaced. 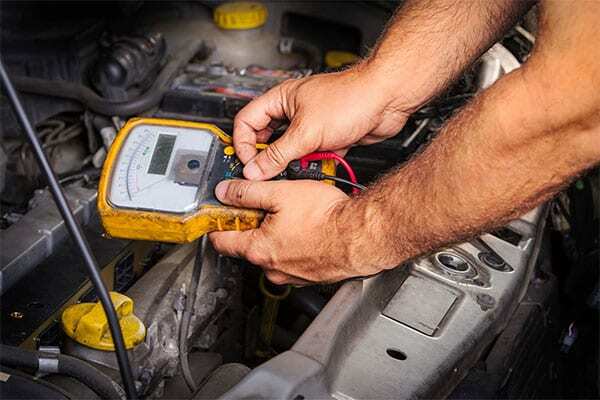 If you are having trouble starting your car due to a battery that continues to go dead, problems with your lighting, or any other part of your car’s electrical system, we can help. IMM Auto Service has performed electrical repairs on all different makes and models of cars since 1972. What is a wheel alignment, and why should you care? Well, in short, if your wheels are not pointed the correct way, your tires will wear rapidly and your car will not handle the way it should. This can be unsafe, and at the least, it will cost you money trying to keep up with tire replacement. When your car illuminates a light that looks like an engine, such as the picture, or you get a “Service Engine Soon” message, that means there is an emissions problem with your car. Rely on our more than 40 years of continuous experience in emissions repair to get your car diagnosed and fixed right. The steering and suspension system in your car is comprised of a number different parts and different systems depending on when your car was designed and by which manufacturer. 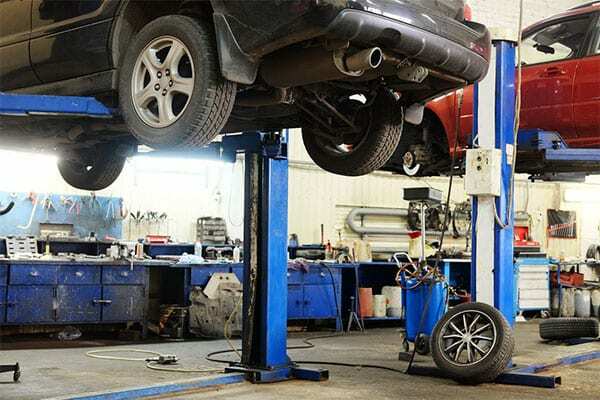 Whatever your steering or suspension problem, rest assured the technicians at IMM Auto Service have been certified in the repairs to these systems and will repair your car right the first time. If your car is sounding a little loud, it may be exhaust gas escaping from your exhaust system. Exhaust gas is poisonous and it can get into your car as you drive depending on where it is coming from. IMM Auto Service can inspect your exhaust system and check it for leaks and/or noise. 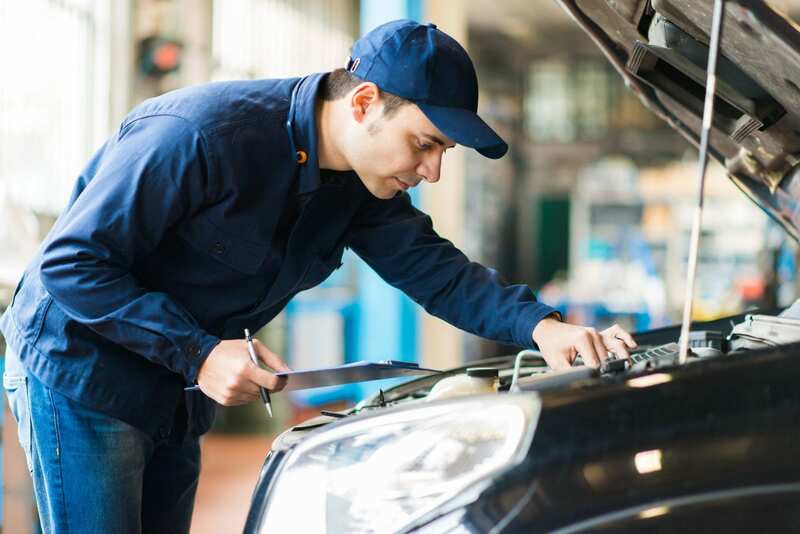 Usually when someone is asking for a tune-up, they either have a running problem, or they feel the car may be due for service. 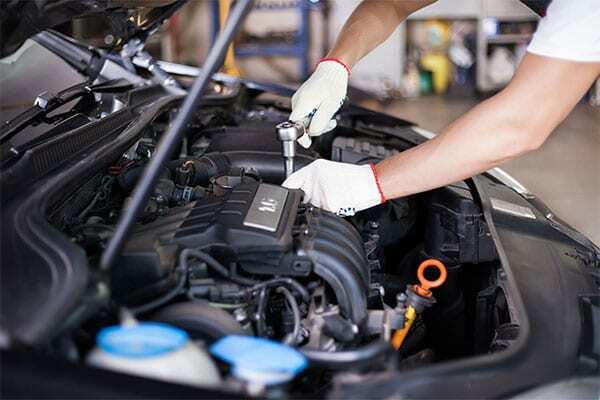 No matter what the problem, rely on IMM Auto Service to make the proper recommendations and perform only the repairs necessary to bring your car to the proper running condition and to make this investment last as long as possible. Looking for cooling system repair in Tempe, Scottsdale, Chandler, Mesa, or the Phoenix area? 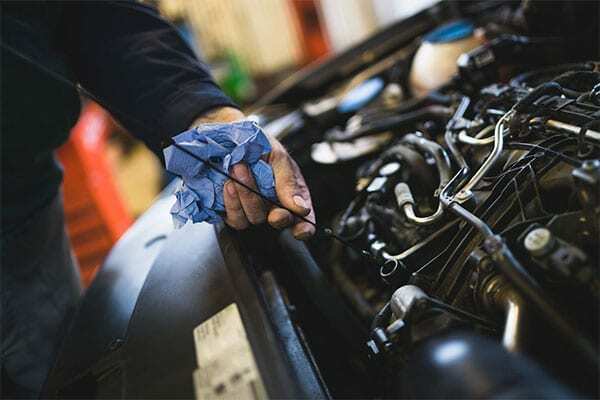 You can trust the ASE certified technicians at IMM Auto Service to properly inspect and repair the cooling system on your car. Sometimes your car just doesn’t run right, and there isn’t even a check engine light to give you any information as to where the problem might be. Sometimes the car won’t even start! This is when you need IMM Auto Service to perform a drivability diagnostics checkup on your car. 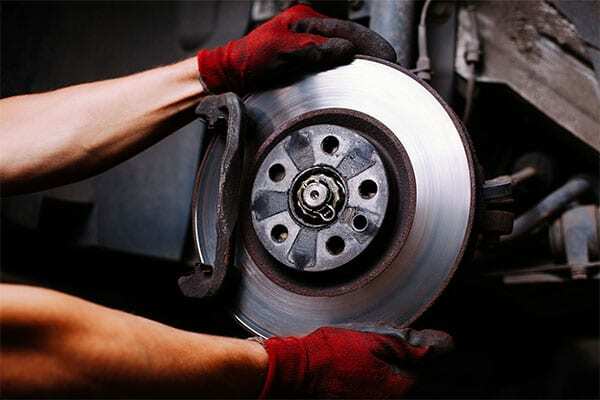 You can rely on IMM Auto Service to properly inspect your brakes and recommend only the repairs or services necessary to keep your car stopping safely. Our technicians are ASE certified in brake repair, and we will only use the parts that work best for your vehicle and will keep all of us happy. Before you go out of town, consider having your car checked over by IMM Auto Service. We want to make sure you have a trouble free, safe, trip to the destination of your choice, not to where you happen to break down. We are happy to track all your services in our computer, and advise you as to what is due and when to do it. All the services we perform are designed to maintain your vehicle per the factory standards and keep your warranty in force. Air Conditioning is pretty much a necessity here in the desert. If you are looking for air conditioning service or repair this summer, look no further than IMM Auto Service. 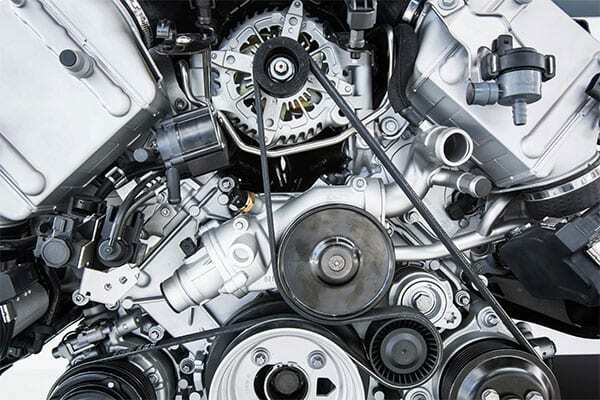 A timing belt service is one of the most important services your car may need. This belt keeps the crankshaft and camshafts in synchronized motion. When it fails, or for that matter, any of the pulleys or tensioners that guide or provide the proper tension to the belt fail, serious engine damage can occur. We specialize in hard to find running problems. If your car is not running up to your standards, or your check engine light or other warning lights are on, we can help you! Our ASE certified Master Technicians have special training and equipment to make sure your car is fixed properly. This is probably the most important service your car can get. 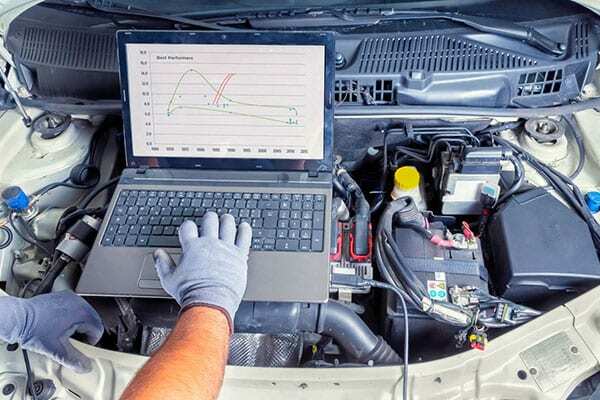 This is the time where your car gets a 52 point inspection of all the major systems, in addition to having the engine oil and filter changed, along with a battery test. 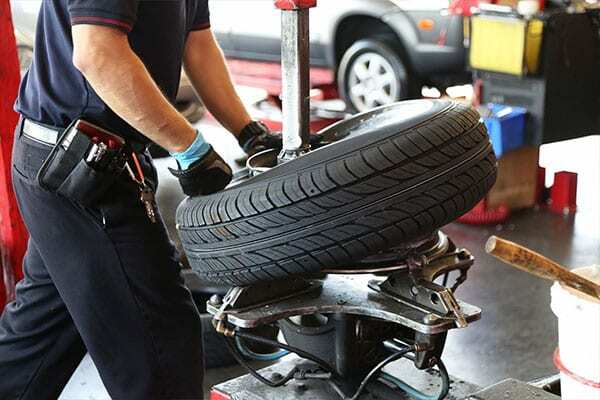 We also check your spare tire for condition and pressure to ensure that you have a good spare should you have the misfortune to get a flat tire. Buick is one of America’s oldest car brands, with a rich tradition of style and innovation that dates back more than a century. Though recognized for catering to retirement-age car buyers with its full-size sedans, Buick’s lineup now includes SUVs and sport sedans designed to attract younger buyers to the Buick brand. Keeping your Buick on a regular preventative maintenance schedule ensures it stays safe and reliable for you and your family through the long haul. Our multi-point inspections (included with any service) and honest approach to vehicle maintenance and repair see to it that your car is fixed correctly and at a fair price. During your visit, we check for any issues that could turn into bigger problems down the road. Since our ultimate goal is to provide excellent service for you—our customer—we are happy to discuss how to keep your Buick running smoothly as well as what repairs you need now versus what repairs you can do in the future! 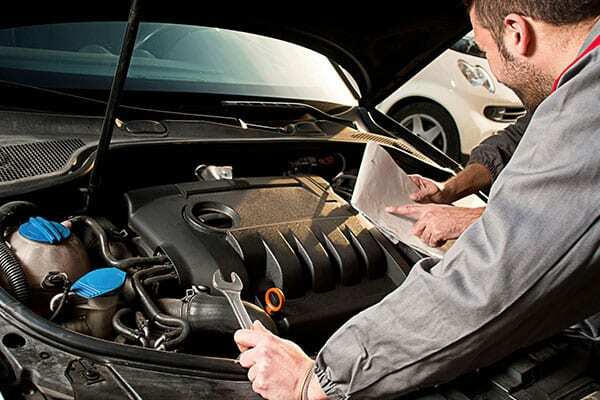 We are here to help you with all your Buick maintenance and service needs! Cadillac is the nation’s most prestigious domestic luxury automaker, once known exclusively for its lux, senior-friendly sedans. In recent years, Cadillac has successfully updated and expanded its line-up in an effort to attract younger buyers; for example, the Escalade is a favorite of rappers, athletes, and suburban moms. Keeping your Cadillac on a regular preventative maintenance schedule ensures it stays safe and reliable for you and your family through the long haul. Our multi-point inspections (included with any service) and honest approach to vehicle maintenance and repair see to it that your car is fixed correctly and at a fair price. Founded in 1911, Chevrolet sells an impressively wide range of cars and trucks, from compact hybrids to beefy muscle cars to huge vans and SUVs. If you’re looking for a reasonably priced yet innovative vehicle, Chevy likely has something to meet your needs without emptying your bank account. Keeping your Chevrolet on a regular preventative maintenance schedule ensures it stays safe and reliable for you and your family through the long haul. Our multi-point inspections (included with any service) and honest approach to vehicle maintenance and repair see to it that your car is fixed correctly and at a fair price. During your visit, we check for any issues that could turn into bigger problems down the road. Since our ultimate goal is to provide excellent service for you—our customer—we are happy to discuss how to keep your Chevrolet running smoothly as well as what repairs you need now versus what repairs you can do in the future. We are here to help you with all your Chevrolet maintenance and service needs! Chrysler was built on a reputation for advanced engineering, designing one of the first aerodynamic cars in 1930 and introducing unibody construction in the 1960s. Today, Chrysler offers a pair of sedans, the 200 midsize and the 300 full-size, a convertible, and a minivan. Keeping your Chrysler on a regular preventative maintenance schedule ensures it stays safe and reliable for you and your family through the long haul. Our multi-point inspections (included with any service) and honest approach to vehicle maintenance and repair see to it that your car is fixed correctly and at a fair price. During your visit, we check for any issues that could turn into bigger problems down the road. Since our ultimate goal is to provide excellent service for you—our customer—we are happy to discuss how to keep your Chrysler running smoothly as well as what repairs you need now versus what repairs you can do in the future. We are here to help you with all your Chrysler maintenance and service needs! For more than a century, Ford Motor Company has sold mass-produced automobiles in the U.S. and around the world, attracting millions of loyal customers with its broad range of reasonably priced vehicles. In recent years, Ford’s trucks and SUVs have become especially popular, with the F-Series truck ranked as the best-selling vehicle in America. Keeping your Ford on a regular preventative maintenance schedule ensures it stays safe and reliable for you and your family through the long haul. Our multi-point inspections (included with any service) and honest approach to vehicle maintenance and repair see to it that your car is fixed correctly and at a fair price. During your visit, we check for any issues that could turn into bigger problems down the road. Since our ultimate goal is to provide excellent service for you—our customer—we are happy to discuss how to keep your Ford running smoothly as well as what repairs you need now versus what repairs you can do in the future. We are here to help you with all your Ford maintenance and service needs! A division of General Motors, GMC focuses on producing trucks, SUVs, and vans, including the popular Sierra truck line, the Yukon SUV, and the Savana cargo van. With unique features and upscale details, GMC vehicles are class-leading among full-size pickups and large SUVs. Keeping your GMC on a regular preventative maintenance schedule ensures it stays safe and reliable for you and your family through the long haul. Our multi-point inspections (included with any service) and honest approach to vehicle maintenance and repair see to it that your car is fixed correctly and at a fair price. During your visit, we check for any issues that could turn into bigger problems down the road. 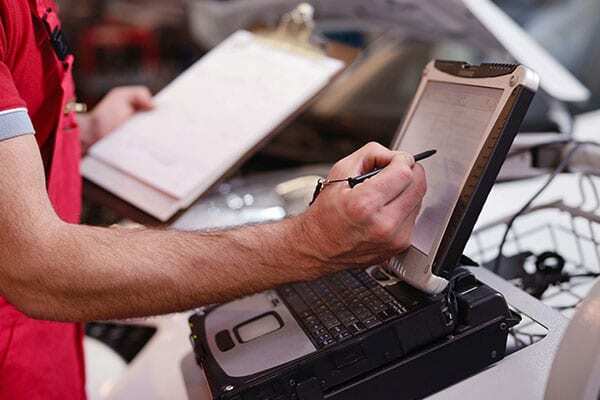 Since our ultimate goal is to provide excellent service for you—our customer—we are happy to discuss how to keep your GMC running smoothly as well as what repairs you need now versus what repairs you can do in the future. We are here to help you with all your GMC maintenance and service needs! Jeep has a long history of producing trucks and SUVs that are meant to go off the beaten path. The Wrangler and the Cherokee have remained immensely popular since the 1980s, and with recent improvements in performance and quality, the Jeep brand is likely to maintain its fan base and attract new followers. Keeping your Jeep on a regular preventative maintenance schedule ensures it stays safe and reliable for you and your family through the long haul. Our multi-point inspections (included with any service) and honest approach to vehicle maintenance and repair see to it that your car is fixed correctly and at a fair price. During your visit, we check for any issues that could turn into bigger problems down the road. Since our ultimate goal is to provide excellent service for you—our customer—we are happy to discuss how to keep your Jeep running smoothly as well as what repairs you need now versus what repairs you can do in the future. We are here to help you with all your Jeep maintenance and service needs! Lincoln manufactures cars, trucks, and SUVs with deluxe features, powerful engines, and unique styling—à la the iconic Town Car of the 80s and 90s. A favorite among those seeking an all-American luxury vehicle, Lincoln recently updated its lineup with the MKS and MKZ sedans as well as the MKX crossover SUV. Keeping your Lincoln on a regular preventative maintenance schedule ensures it stays safe and reliable for you and your family through the long haul. Our multi-point inspections (included with any service) and honest approach to vehicle maintenance and repair see to it that your car is fixed correctly and at a fair price. During your visit, we check for any issues that could turn into bigger problems down the road. Since our ultimate goal is to provide excellent service for you—our customer—we are happy to discuss how to keep your Lincoln running smoothly as well as what repairs you need now versus what repairs you can do in the future. We are here to help you with all your Lincoln maintenance and service needs! While the last Oldsmobile rolled off the assembly line in 2004, the Oldsmobile brand has a rich heritage among American automobile manufacturers. Known simultaneously for sophistication and innovation, through the decades Oldsmobile introduced the automatic transmission, the wraparound windshield, and the airbag. Keeping your Oldsmobile on a regular preventative maintenance schedule ensures it stays safe and reliable for you and your family through the long haul. Our multi-point inspections (included with any service) and honest approach to vehicle maintenance and repair see to it that your car is fixed correctly and at a fair price. During your visit, we check for any issues that could turn into bigger problems down the road. Since our ultimate goal is to provide excellent service for you—our customer—we are happy to discuss how to keep your Oldsmobile running smoothly as well as what repairs you need now versus what repairs you can do in the future. We are here to help you with all your Oldsmobile maintenance and service needs! While GM has discontinued the Pontiac brand, many Pontiacs are still on the road, from vintage sports cars like the GTO, Firebird, and Fiero to the recent Vibe and Soltice models. Many of GM’s most stylish, distinctive, and performance-oriented vehicles have been Pontiacs. Keeping your Pontiac on a regular preventative maintenance schedule ensures it stays safe and reliable for you and your family through the long haul. Our multi-point inspections (included with any service) and honest approach to vehicle maintenance and repair see to it that your car is fixed correctly and at a fair price. During your visit, we check for any issues that could turn into bigger problems down the road. Since our ultimate goal is to provide excellent service for you—our customer—we are happy to discuss how to keep your Pontiac running smoothly as well as what repairs you need now versus what repairs you can do in the future. We are here to help you with all your Pontiac maintenance and service needs! Land Rover is well-known for its luxury SUVs, including the fancy yet rugged Range Rover as well as smaller and more affordable models like the LR4 and Evoque. At its heart Land Rover is a rough and tumble vehicle despite its new reputation as an urban warrior, and one of just a few automotive brands in the U.S. to market solely SUV products. Keeping your Land Rover on a regular preventative maintenance schedule ensures it stays safe and reliable for you and your family through the long haul. Our multi-point inspections (included with any service) and honest approach to vehicle maintenance and repair see to it that your car is fixed correctly and at a fair price. During your visit, we check for any issues that could turn into bigger problems down the road. Since our ultimate goal is to provide excellent service for you—our customer—we are happy to discuss how to keep your Land Rover running smoothly as well as what repairs you need now versus what repairs you can do in the future. We are here to help you with all your Land Rover maintenance and service needs! A longstanding symbol of success, prestige, and good taste, Mercedes-Benz manufactures vehicles known for their automotive excellence, luxury, and refinement. The company’s current lineup offers a wide variety of sedans, coupes, SUVs, and roadsters, all carrying the brand’s premier status among auto enthusiasts. Keeping your Mercedes on a regular preventative maintenance schedule ensures it stays safe and reliable for you and your family through the long haul. Our multi-point inspections (included with any service) and honest approach to vehicle maintenance and repair see to it that your car is fixed correctly and at a fair price. During your visit, we check for any issues that could turn into bigger problems down the road. Since our ultimate goal is to provide excellent service for you—our customer—we are happy to discuss how to keep your Mercedes running smoothly as well as what repairs you need now versus what repairs you can do in the future. 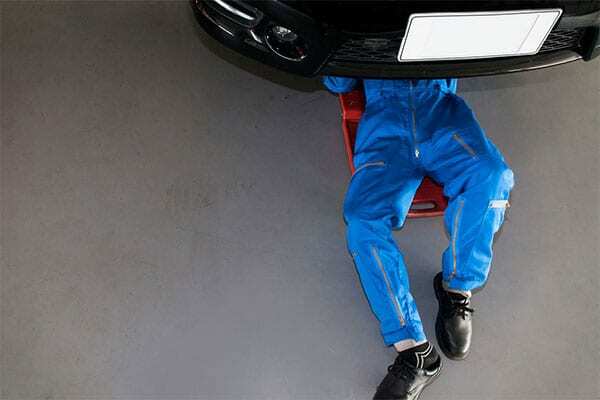 We are here to help you with all your Mercedes maintenance and service needs! The Mini Cooper combines an athletic, BMW-engineered chassis with a space-efficient interior and a generous standard features list, all while successfully paying homage to the original Mini of the 1960s. As more models are introduced, such as the Clubman and the Countryman, Mini is set to become even more popular in the U.S.
Keeping your Mini Cooper on a regular preventative maintenance schedule ensures it stays safe and reliable for you and your family through the long haul. Our multi-point inspections (included with any service) and honest approach to vehicle maintenance and repair see to it that your car is fixed correctly and at a fair price. During your visit, we check for any issues that could turn into bigger problems down the road. Since our ultimate goal is to provide excellent service for you—our customer—we are happy to discuss how to keep your Mini Cooper running smoothly as well as what repairs you need now versus what repairs you can do in the future. We are here to help you with all your Mini Cooper maintenance and service needs! Saab cars, especially the turbo models, became popular in the 1980s when young professionals sought them out for their utility and quirky hatchback body style. While the brand no longer produces cars today, there are still many Saabs on the road, from the vintage 900 Turbo to the 9-5 sedan, which is still impressive for its safety technology. Keeping your Saab on a regular preventative maintenance schedule ensures it stays safe and reliable for you and your family through the long haul. Our multi-point inspections (included with any service) and honest approach to vehicle maintenance and repair see to it that your car is fixed correctly and at a fair price. During your visit, we check for any issues that could turn into bigger problems down the road. Since our ultimate goal is to provide excellent service for you—our customer—we are happy to discuss how to keep your Saab running smoothly as well as what repairs you need now versus what repairs you can do in the future. We are here to help you with all your Saab maintenance and service needs! Volvo has long been at the forefront of safety research, introducing the first three-point seat belt, as well as padded dashboards, front and rear energy-resistant crumple zones, childproof locks, collapsible steering columns, and rear-facing child seats. Today, Volvo vehicles also offer generous amounts of style and performance. Keeping your Volvo on a regular preventative maintenance schedule ensures it stays safe and reliable for you and your family through the long haul. Our multi-point inspections (included with any service) and honest approach to vehicle maintenance and repair see to it that your car is fixed correctly and at a fair price. Popular in America since the introduction of the Beetle in the 1950s, Volkswagen has a reputation for crafting vehicles that offer refined handling and upscale accommodations. Volkswagen has continuously introduced new vehicles to its lineup, keeping the brand fresh and relevant, with everything from roomy SUVs to diesel convertibles. Keeping your Volkswagen on a regular preventative maintenance schedule ensures it stays safe and reliable for you and your family through the long haul. Our multi-point inspections (included with any service) and honest approach to vehicle maintenance and repair see to it that your car is fixed correctly and at a fair price. During your visit, we check for any issues that could turn into bigger problems down the road. Since our ultimate goal is to provide excellent service for you—our customer—we are happy to discuss how to keep your Volkswagen running smoothly as well as what repairs you need now versus what repairs you can do in the future. We are here to help you with all your Volkswagen maintenance and service needs! Acura offers an appealing mix of performance, technology, and value with its street-performance-oriented RDX compact crossover, the TSX wagon, and the ZDX, a fastback-styled crossover. These models join the popular RL luxury sedan, the midsize TL sedan, and the entry-level TSX sport sedan in Acura’s lineup. Keeping your Acura on a regular preventative maintenance schedule ensures it stays safe and reliable for you and your family through the long haul. Our multi-point inspections (included with any service) and honest approach to vehicle maintenance and repair see to it that your car is fixed correctly and at a fair price. During your visit, we check for any issues that could turn into bigger problems down the road. Since our ultimate goal is to provide excellent service for you—our customer—we are happy to discuss how to keep your Acura running smoothly as well as what repairs you need now versus what repairs you can do in the future. We are here to help you with all your Acura maintenance and service needs! Honda enjoys an excellent reputation for reliability and quality, with the Accord becoming America’s most popular car in 1989. Today, the brand continues to be one of the most respected in the industry, offering everything from fuel-sipping hybrids to full-size SUVs, and almost everything in between. Keeping your Honda on a regular preventative maintenance schedule ensures it stays safe and reliable for you and your family through the long haul. Our multi-point inspections (included with any service) and honest approach to vehicle maintenance and repair see to it that your car is fixed correctly and at a fair price. During your visit, we check for any issues that could turn into bigger problems down the road. 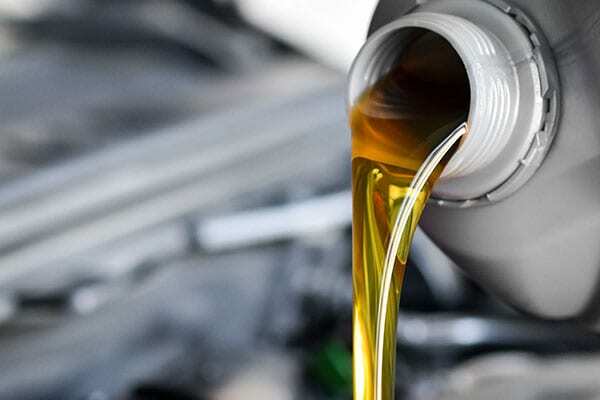 Since our ultimate goal is to provide excellent service for you—our customer—we are happy to discuss how to keep your Honda running smoothly as well as what repairs you need now versus what repairs you can do in the future. We are here to help you with all your Honda maintenance and service needs! Hyundai cars and SUVs provide a high level of content at an affordable price, and are also backed by one of the industry’s longest warranties. The brand’s current lineup includes the economical Accent, the popular Elantra compact, the midsize Sonata (also available as a hybrid), and a couple of stylish SUVs. Keeping your Hyundai on a regular preventative maintenance schedule ensures it stays safe and reliable for you and your family through the long haul. Our multi-point inspections (included with any service) and honest approach to vehicle maintenance and repair see to it that your car is fixed correctly and at a fair price. During your visit, we check for any issues that could turn into bigger problems down the road. Since our ultimate goal is to provide excellent service for you—our customer—we are happy to discuss how to keep your Hyundai running smoothly as well as what repairs you need now versus what repairs you can do in the future. We are here to help you with all your Hyundai maintenance and service needs! Infiniti vehicles are focused on luxury, sport, quality, and value. The brand’s lineup includes the G (offered as a sedan, coupe, and convertible) and the FX, a crossover SUV, as well as the midsize M sedan (also available as a hybrid), the EX small crossover, the JX midsize crossover, and the QX large SUV. 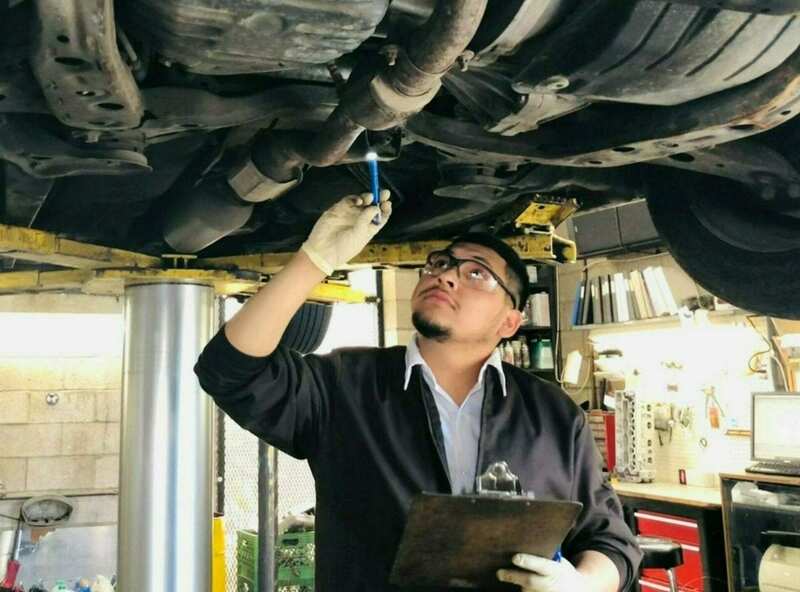 Keeping your Infiniti on a regular preventative maintenance schedule ensures it stays safe and reliable for you and your family through the long haul. Our multi-point inspections (included with any service) and honest approach to vehicle maintenance and repair see to it that your car is fixed correctly and at a fair price. During your visit, we check for any issues that could turn into bigger problems down the road. Since our ultimate goal is to provide excellent service for you—our customer—we are happy to discuss how to keep your Infiniti running smoothly as well as what repairs you need now versus what repairs you can do in the future. We are here to help you with all your Infiniti maintenance and service needs! Hallmarks of the Lexus brand include quiet, well-crafted cabins, elegant exterior design, and exceptional performance from powerful, nearly silent engines. Recently, Lexus has been at the forefront of producing hybrid versions of many of its vehicles, such as the RX 400h and the GS 450h. Keeping your Lexus on a regular preventative maintenance schedule ensures it stays safe and reliable for you and your family through the long haul. Our multi-point inspections (included with any service) and honest approach to vehicle maintenance and repair see to it that your car is fixed correctly and at a fair price. During your visit, we check for any issues that could turn into bigger problems down the road. Since our ultimate goal is to provide excellent service for you—our customer—we are happy to discuss how to keep your Lexus running smoothly as well as what repairs you need now versus what repairs you can do in the future. We are here to help you with all your Lexus maintenance and service needs! Keeping your Scion on a regular preventative maintenance schedule ensures it stays safe and reliable for you and your family through the long haul. Our multi-point inspections (included with any service) and honest approach to vehicle maintenance and repair see to it that your car is fixed correctly and at a fair price. During your visit, we check for any issues that could turn into bigger problems down the road. Since our ultimate goal is to provide excellent service for you—our customer—we are happy to discuss how to keep your Scion running smoothly as well as what repairs you need now versus what repairs you can do in the future. We are here to help you with all your Scion maintenance and service needs! Mitsubishi has built its brand in the U.S. with a lineup of vehicles that often provide above-average performance and style. The Lancer is a continuing success for Mitsubishi, and the Outlander SUV is popular for its rugged yet refined styling, and with the introduction of the “i” hatchback, Mitsubishi has entered the all-electric vehicle segment. Keeping your Mitsubishi on a regular preventative maintenance schedule ensures it stays safe and reliable for you and your family through the long haul. Our multi-point inspections (included with any service) and honest approach to vehicle maintenance and repair see to it that your car is fixed correctly and at a fair price. Keeping your Toyota on a regular preventative maintenance schedule ensures it stays safe and reliable for you and your family through the long haul. Our multi-point inspections (included with any service) and honest approach to vehicle maintenance and repair see to it that your car is fixed correctly and at a fair price. During your visit, we check for any issues that could turn into bigger problems down the road. Since our ultimate goal is to provide excellent service for you—our customer—we are happy to discuss how to keep your Toyota running smoothly as well as what repairs you need now versus what repairs you can do in the future. We are here to help you with all your Toyota maintenance and service needs! Keeping your Prius on a regular preventative maintenance schedule ensures it stays safe and reliable for you and your family through the long haul. Our multi-point inspections (included with any service) and honest approach to vehicle maintenance and repair see to it that your car is fixed correctly and at a fair price. During your visit, we check for any issues that could turn into bigger problems down the road. Since our ultimate goal is to provide excellent service for you—our customer—we are happy to discuss how to keep your Prius running smoothly as well as what repairs you need now versus what repairs you can do in the future. We are here to help you with all your Prius maintenance and service needs! The Subaru brand manufactures cars and SUVs with all-wheel-drive powertrains and available turbochargers, which facilitate sharp performance, while still remaining discreet and versatile enough to serve as reliable family cars. In fact, Subaru vehicles boast some of the industry’s best crash test scores. The Subaru brand manufactures cars and SUVs with all-wheel-drive powertrains and available turbochargers, which facilitate sharp performance, while still remaining discreet and versatile enough to serve as reliable family cars. In fact, Subaru vehicles boast some of the industry’s best crash test scores. Keeping your Subaru on a regular preventative maintenance schedule ensures it stays safe and reliable for you and your family through the long haul. Our multi-point inspections (included with any service) and honest approach to vehicle maintenance and repair see to it that your car is fixed correctly and at a fair price. During your visit, we check for any issues that could turn into bigger problems down the road. Since our ultimate goal is to provide excellent service for you—our customer—we are happy to discuss how to keep your Subaru running smoothly as well as what repairs you need now versus what repairs you can do in the future. We are here to help you with all your Subaru maintenance and service needs! The Dodge brand boasts several of America’s most iconic vehicles, such as the Charger, one of the industry’s first muscle cars, and the Caravan, which introduced an entirely new vehicle segment—the minivan. Recently, Dodge separated the Ram brand for its line of trucks, while it continues to produce aggressively styled, performance vehicles. © 2019, IMM AUTO SERVICE. All Rights Reserved.